The beeeeep, beeeeeep of the Dexcom wakes us, showing the above-the-threshold red line indicating a high blood sugar. And I thought about the low last night. It was a gross one, with the shaking hands and the pajamas that needed to be changed because I sweated through my t-shirt and the hairdryer needed to be used because my hair was damp with perspiration. Glucose tab dusts all over the bed sheets and on my neck because I stupidly tipped the jar into my mouth, thinking it was juice. The sound of my daughter waking up from a nightmare rang through the Birdy monitor but Chris needed to respond because I was busy sweating. Because I ate too many glucose tabs, that’s why. And I know I ate too many glucose tabs. Not because they are my favorite snack, but because I needed that feeling to go away. That hypoglycemic, scared, confused, unable to make my body respond to commands from my mind, stuck-at-the-bottom-of-the-well feeling that lasts only minutes but sticks with me for hours. After lows that rattle the bars of the emotional cage I keep my diabetes in, I feel vulnerable and exposed and more content to wake up with a blood sugar of 235 mg/dL than to revisit the 35 mg/dL. 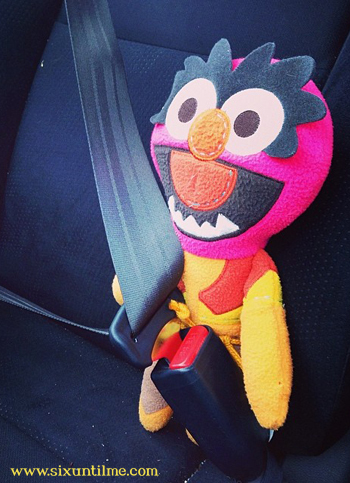 Sometimes, but not inexplicably, a high blood sugar feels like a seat belt. Bubble wrap. Armor. A moment of “safety” that protects me from that feeling of low. What I’ve Eaten (Regrettably) to Treat a Low I Can’t Feel My Face Diabetes Food Lies. Sparkly, Like Her Shoes. Not that my view on it matters, but there’s no shame in it from my perspective. Glad you’re okay. Honestly, I’d rather have the low feelings. I just hate having high BG’s more than the shakes & sweats & ravenous hunger. You nailed this experience. That panic is the worst. Even though you logically know you ate enough you NEED to eat more. usually when I go that low, chewing glucose tablets is just way too much work and concentration at that point, so I keep a can with a loose fitting cover filled with york peppermint patties. I reach for the can, and put one of those babies in my mouth and make an attempt to mimic chewing, and down the throat it goes. If I am feeling daring, I’ll down 2 or 3. I know you have said mints are not your favorites. For me though, it’s a lot less traumatic than trying to muster up the energy to chew those fruit flavored rocks at that point. “lows that rattle the bars of the emotional cage I keep my diabetes in” !!!!!! Yes. Now how long do I feel like I was hit by a train, 2-3 days. Achy & mentally draining. I would rather fix a low with the YPP’s – going to try that one! This one aches at the core for me. The root of all my diabetic “noncompliance”…. because death feels so much nearer at 40 than the numb feet of the 300s…. That’s exactly my feeling too Kerri. I’m perfectly content to have a 250 after suffering a mind bending sleeping hypo. This one hits at the core for me, too. Just had a conversation about this recently with my dad, who was asking that very question of why I “over-treat” and let myself go so High… couldn’t put it into good enough words, but this nails it. Thanks for writing this, Kerri. You definitely nailed it here! Also, we need to remember that, in fact, a severe low can kill us much more quickly than a series of high BGs. Finding that “happy medium” is difficult. Perfect description. And to make matters worse, when I’m that low, I can’t eat enough glucose tablets because I don’t like them. So I opt for something I do like and probably have a little more because of that. This is exactly how I feel! You put it into words perfectly! Don’t send yourself on too long of a guilt trip. I think in some ways the desire to over eat after a low is something of a defense mechanism, not always a rational, well thought out action. I am considered a brittle diabetic and the lows are always quite uncomfortable and even dangerous. I fractured my ankle in18 places, after I had a low in bed one night, and I stood up next to my bed and had a seizure standing up.